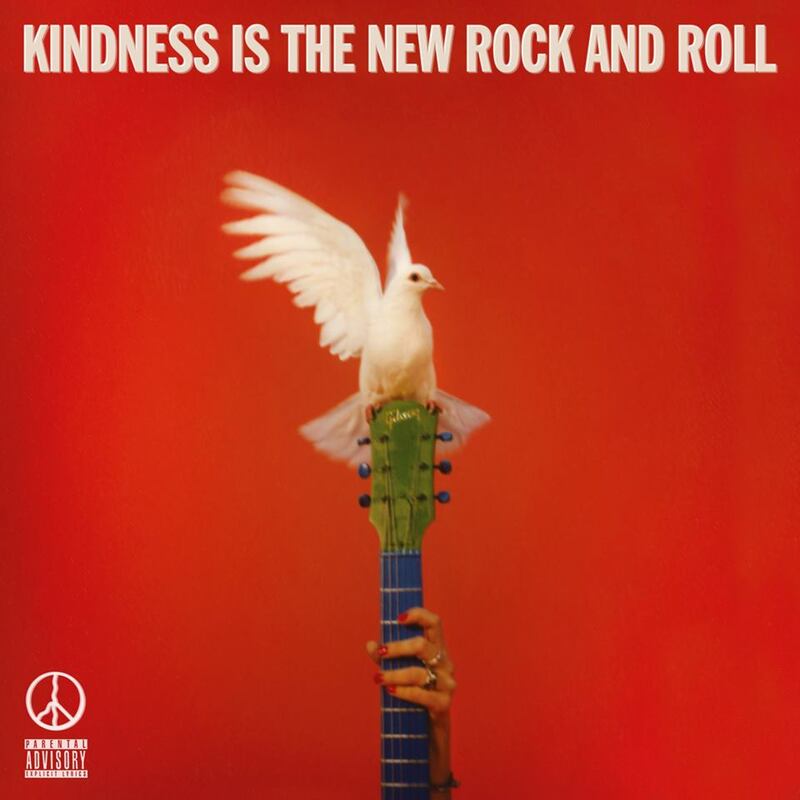 Kindness is the New Rock and Roll. The title itself seems bold, though it shouldn’t be. To be able to keep kindness present in everything, including the head bopping rock and roll genre, should be common sense. However, kindness seems to be a hard thing to find throughout all the issues that seem to have no solution in today’s world, and Peace realizes that. In an interview with Dork Magazine, frontman Harry Koisser states, “I love the idea that rock & roll is not dead, it’s still here pushing the message that if you’re too busy to change the world just be a bit kinder. That’s the simplest way to make the world a better place.” Many of us battle with ideas of how to change our faulty world, but here, Peace is saying that changing the world can be as simple as being a decent person. The British band’s 3rd album isn't their first concerning our often kindness-starved society. Their sophomore album, Happy People (2015), showcased songs about jealousy of others’ perfect skin and contemplation about where all the happy people have gone. Now, three years later, Peace are still spreading awareness of things that all of us struggle with. The debut single off the album, “From Under Liquid Glass,” takes you into the more personal headspace of Koisser. Peace’s website reads, “I wrote the song during my most difficult spring in a long time. Peace have always been an explosion of happiness, but that isn’t reflective of every part of me or anyone for that matter, and this song, at it's most zoomed out, demonstrates that polarity; you can be a happy person and still take a pasting from your demons.” Through this song, Koisser discusses how talking about mental health is vital, saying that he was initially scared to face his struggles. However, he quickly found out he wasn’t alone, and used his music as a way to let others know they weren’t either. Especially in our digital society, where profiles only showcase our best qualities, Peace opens up and reminds everyone that there’s always more than what’s on the surface. All the more reason that kindness is always important. Power proves to be a fitting opening song for such a strong album. Immediately Koisser belts, “I’ve got the power, I know it’s true / I’ve got the power, and I feel it in you.” This is a testament to self empowerment. It feels like lifting your fingertips towards the sky and soaking in the sun rays. This song is Peace talking directly to you, projecting the strength of the song into your bones, and reminding you that your actions can make a difference. You have the power! Right away, this album shows a liveliness that dances around in your head and in your body. The powerful punch that this intro song carries vibrates throughout the whole album. It’s especially punctuated with the songs “You Don’t Walk Away From Love”, “Magnificent,” and “Choose Love.” Peace has hippy kind of ideals, singing about bringing war upon war and love murdering hate and accompanying these messages with catchy rhythms and clever guitar solos. Though at times it sounds cheesy, these reminders of peace and decency are more than necessary. The band Peace pictures a future world of… well, peace. And they give you the resources to reach this future world through this album. The album cover itself even depicts a white bird perched on a guitar, showing how there is freedom through music. This album is indeed a freeing album. Kindness is the New Rock and Roll gives hope through hurt. It offers love through hate. It lets you step up and be more than just a little breathing body on this large planet. Support Peace and physical music here. Listen to Kindness is the New Rock and Roll here.